NECA’s arcade- and comic book-inspired Teenage Mutant Ninja Turtles action figure sets were some of the biggest hits of last year’s San Diego Comic-Con. The company looks to top that this year with another must have set. 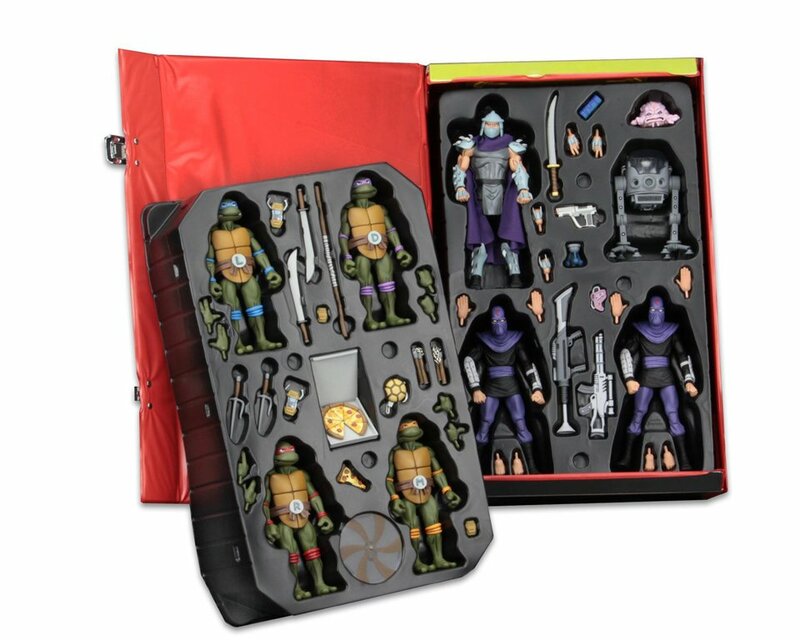 Called the TMNT Collector’s Case, this set truly is a collection unto itself. 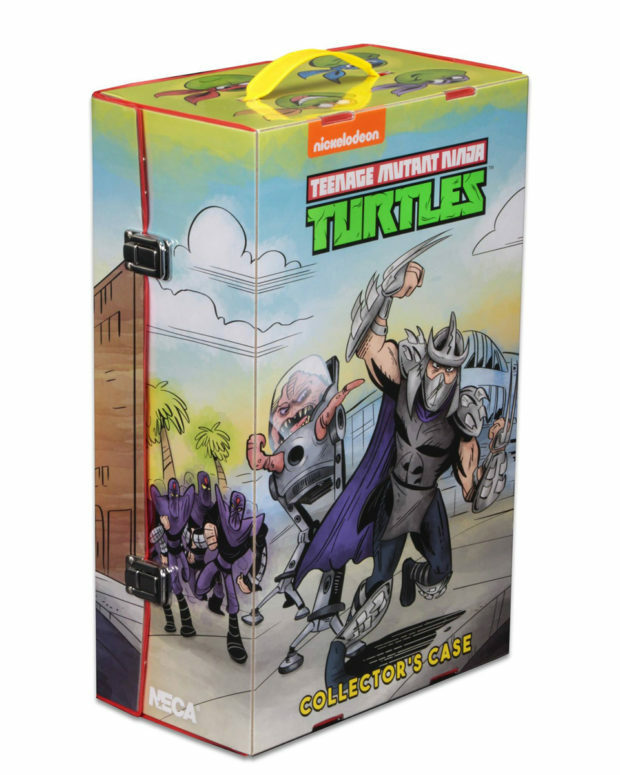 It comes with eight beautifully finished 7″ figures – the four turtles, Shredder, Krang in a Bubble Walker, and two Foot soldiers. But that’s not all. It also comes with a ton of accessories, from their respective weapons to a pizza slice. 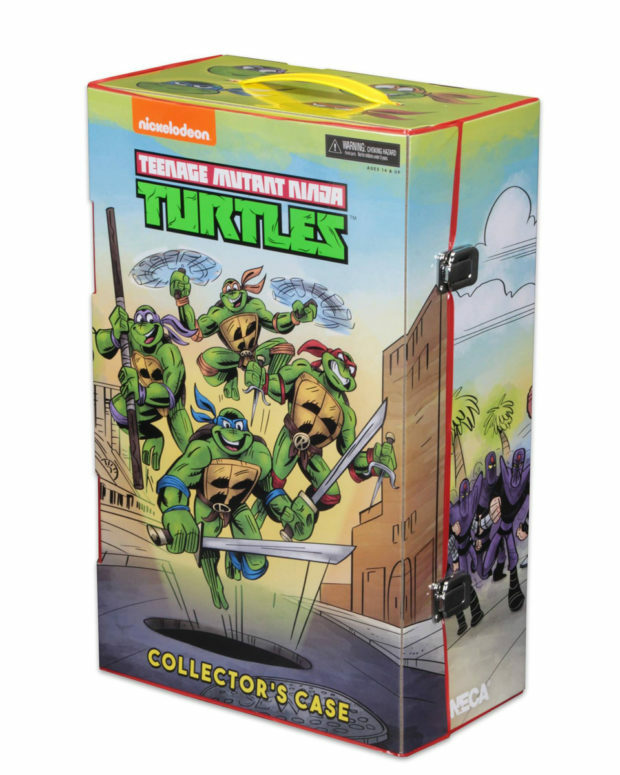 A carrying case with a cover illustrated by Teenage Mutant Ninja Turtles Adventures artist Ken Mitchroney rounds out the set. The TMNT Collector’s Case is limited to only 5,000 sets that cost $200 (USD) each. Fortunately for those who can’t make it to this year’s SDCC, it will also be available through NECA’s online store. You can check out more shots of the figures on The Fwoosh’s exclusive gallery.